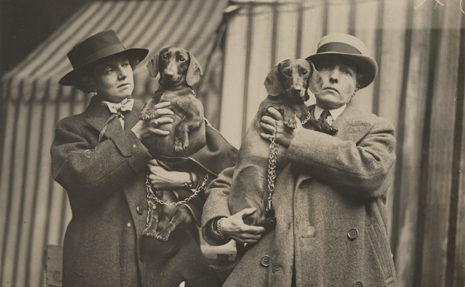 The Ransom Center will digitize the papers of British author Radclyffe Hall and partner, artist Una Vincenzo, Lady Troubridge, thanks to a Digitizing Hidden Collections grant from the Council on Library and Information Resources. More than 38,500 images from their papers will be digitized and made available online following the 20-month project. 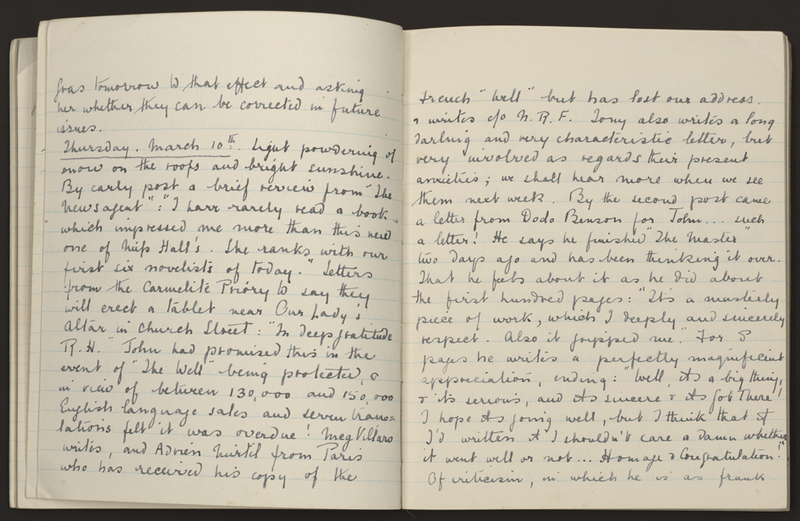 The papers include Hall’s notebooks and drafts for her 1928 novel “The Well of Loneliness,” a landmark work in lesbian literature. 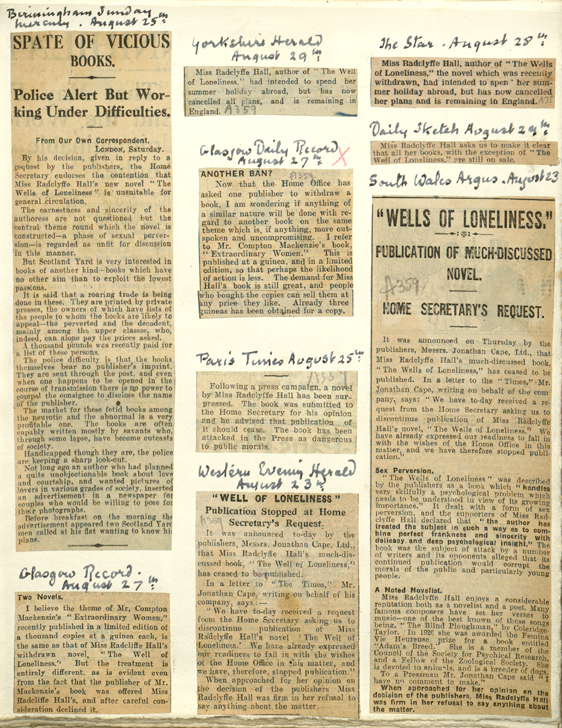 Materials related to the censorship of “The Well of Loneliness” demonstrate how the novel made lesbianism visible to a broad public despite the official ban in England. Teachers, students, and community groups will benefit from having online access to the papers of two early pioneers in the movement to promote awareness, understanding, and protection of LGBTQIA+ rights and freedoms. The materials will serve as an important resource for scholars of 20th-century modernist literature, cultural studies, history, women’s and gender studies, art history, and LGBTQIA+ studies. The project is made possible by funding from The Andrew W. Mellon Foundation. “The richness and depth of this material goes well beyond the subsequent censorship and cultural controversies sparked by “The Well of Loneliness,” and we’re grateful to the Council on Library and Information Resources for recognizing the significance of this project,” said Ransom Center Director Steve Enniss. 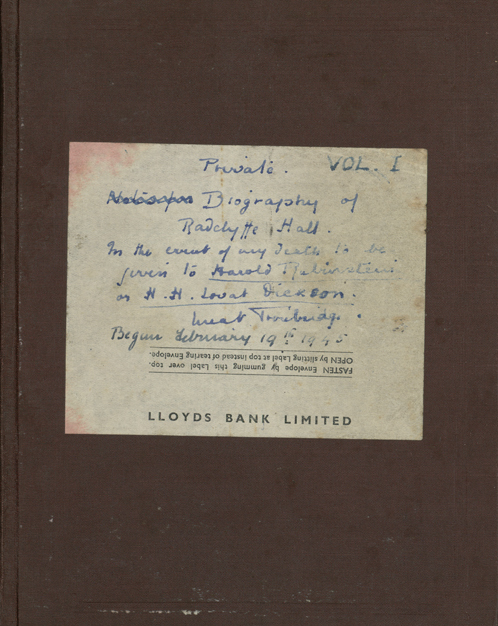 The papers document Hall’s career as a writer, Troubridge’s work as a sculptor and translator, and their personal and creative partnership. Their writings, correspondence, and diaries offer insight into a broad range of subjects including gender identity, lesbianism and sexuality; spiritualism and religion; and sociopolitical movements spanning the two world wars. 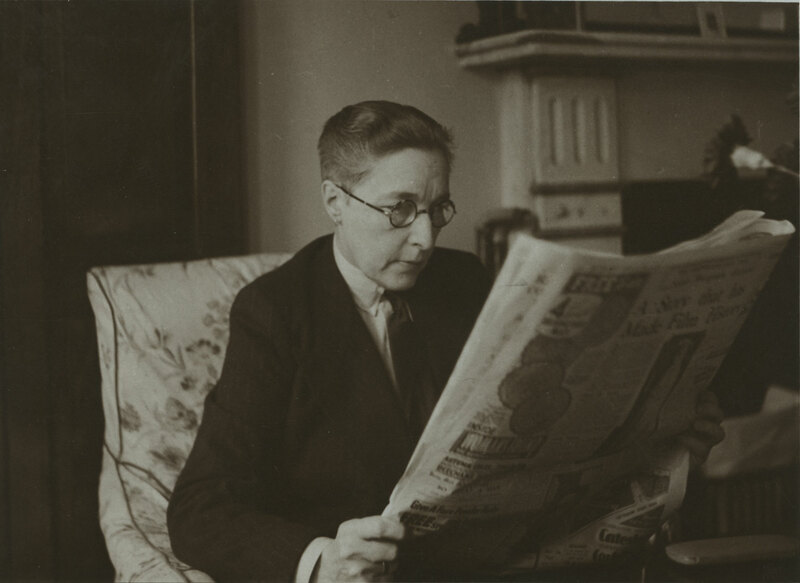 The Radclyffe Hall and Una Vincenzo, Lady Troubridge papers were acquired between 1960 and 1999. 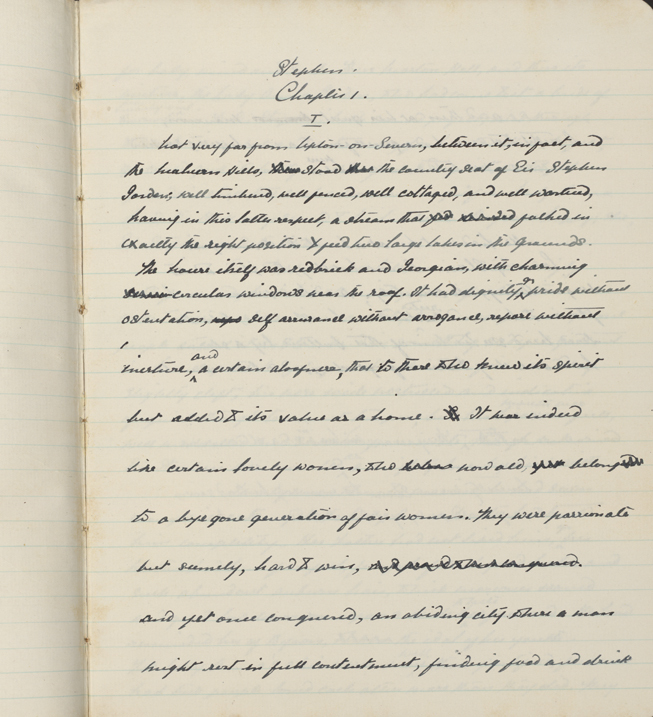 Hall’s papers account for about 60 percent of the material and include handwritten notebooks and typescript drafts for 10 novels and 30 short fiction and prose works, correspondence, business papers, photographs, and scrapbooks. 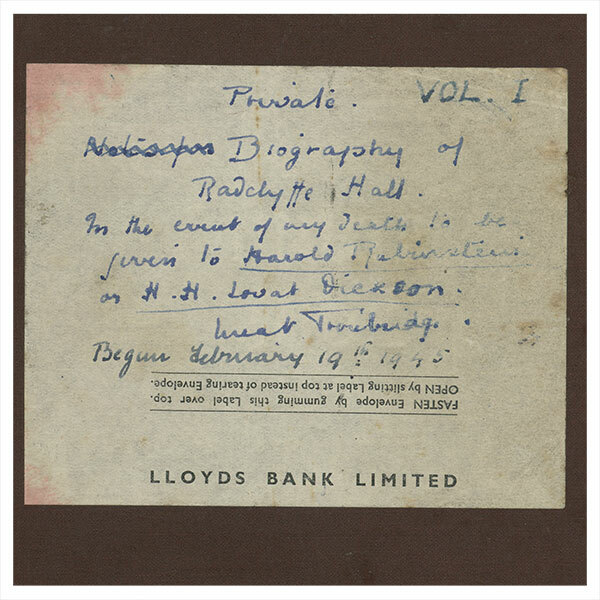 The Hall and Troubridge papers will be accessible online in January 2021.